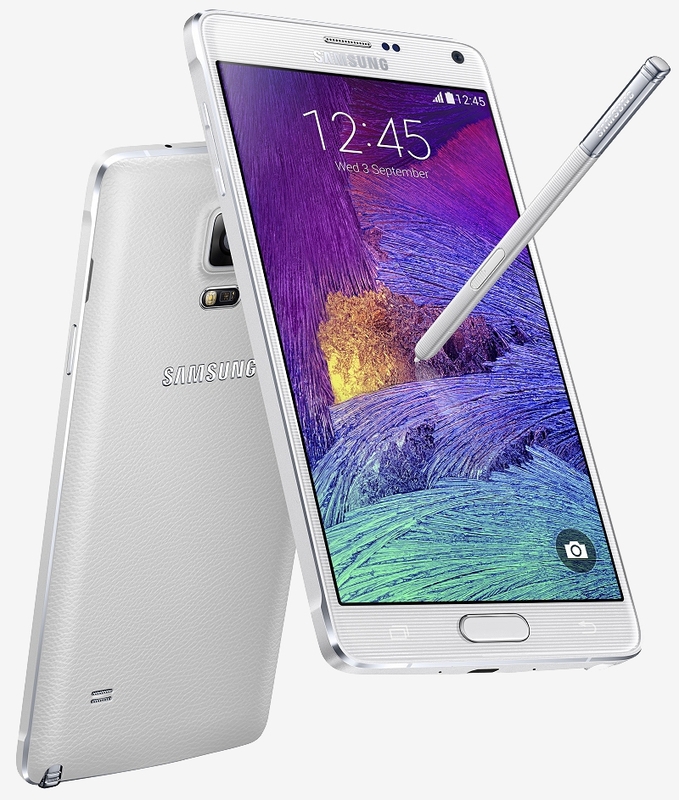 Samsung on Thursday announced that the Galaxy Note 4 will be available in the US starting October 17. Pre-orders for the fourth generation phablet begin tomorrow according to a press release on the matter. It’s shaping up to be a big holiday season for large-screen smartphones. To sweeten the pot, anyone that pre-orders the Note 4 between September 19 and October 16 will receive a guaranteed total trade-in of $200 for any working smartphone. Reading the fine print, Samsung says they’ll accept any “eligible” smartphone valued at $10 or more. Unfortunately, I was unable to locate a list of eligible phones. The Note 4 will eventually make its way to all four of the major wireless carriers in the US, each on their own schedule of course. Here's what we know so far. AT&T will open pre-orders on September 19. Pricing will be set at $299 with a two-year contract, zero down and $34.42 per month for 24 months with AT&T Next 18 ($826.08 total), zero down and $41.30 per month for 20 months through AT&T Next 12 ($826) or $825.99 without a commitment. Shipping for pre-orders begin October 14 with retail sales to be announced at a later date. T-Mobile will begin accepting pre-orders on September 24 with availability slated for October 17. Expect to pay $0 down with 24 monthly payments of $31.24 each (that works out to $749.76 total). Verizon pre-orders open on September 19. The Note 4 will be offered at $299 with a two-year contract as well as through Verizon Edge although pricing through the early upgrade program hasn’t been revealed yet. As of writing, Sprint hasn’t announced their pricing structure or release date for the Note 4.